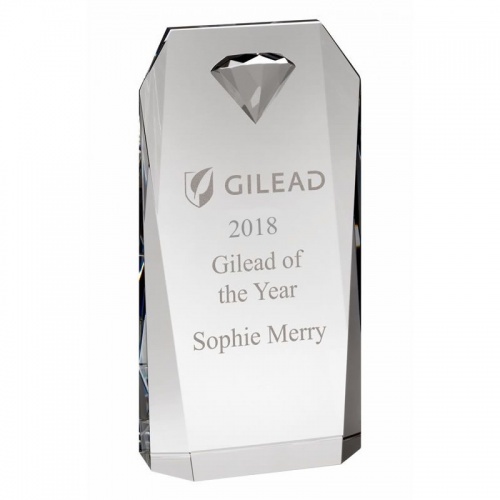 These stylish crystal awards are finely crafted in optical crystal and include a detailed half-diamond inset into the front of the award. Standing 6in (152mm) tall, these freestanding awards feature a plaque with multifaceted edges. The optical crystal refracts light as it passes through the award, creating a myriad of colours and effects as the trophy is held or turned. They can be engraved on the flat front of the award. 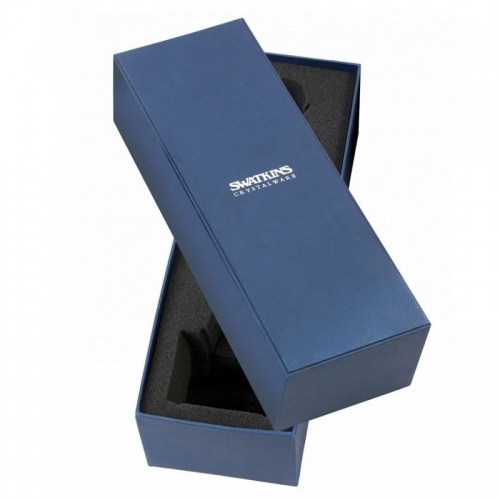 These quality crystal awards are supplied presentation boxed.